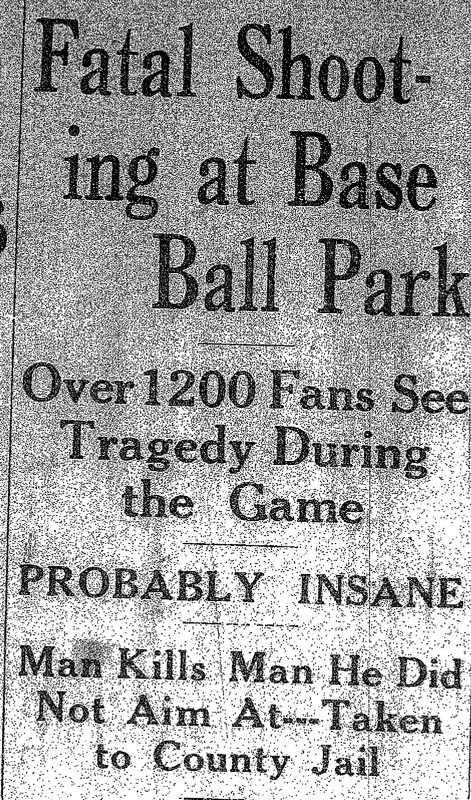 Over 1,200 fans saw a tragedy during a baseball game between Pastime A.C. and Weirton Gladiators. Louis Oliverio, age 48, fatally wounded John Kallapka, age 27, a Weirton craneman, while Kallapka was sitting in the grass. Oliverio looked into the face of the victim and shouted that he shot the wrong man. The wounded man was examined by a physician who was attending the game. It was determined that Kallapka could not live but a few minutes. He was taken to the James Funeral Home where he gained consciousness for just a moment asking why the man shot him. 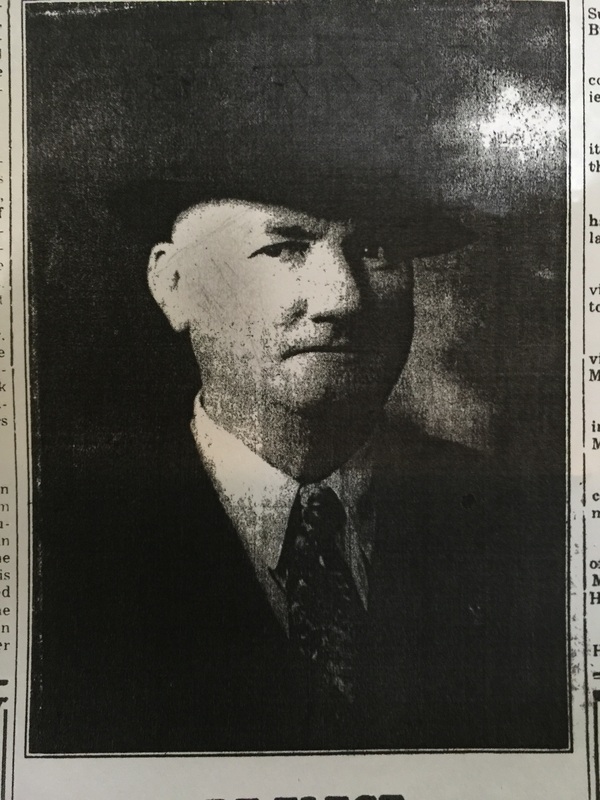 Oliverio, who operated a pool room and soft drink establishment on Main Street, was overpowered by Police Chief Lee Chambers and Deputy Sheriff Ben Phillips of Colliers. After questioning Oliverio, it was learned that he planned to shoot his brother-in-law who was sitting near Kallapka. Louis Oliverio was taken to Weston for psychological testing and discharged. He was placed in the Brooke County jail where he attempted to escape. He was later tried for murder. Chief of Police Lee Chambers. 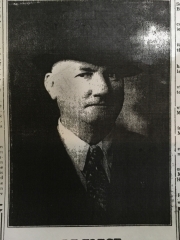 Photo taken in 1937. 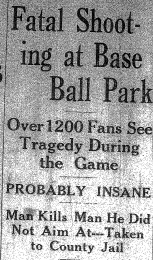 Follansbee Review, “Fatal Shooting at Base Ball Park,” August 4, 1922, front page. Follansbee Review, “Will be Tried for Murder,” December15, 1922, p. 12.